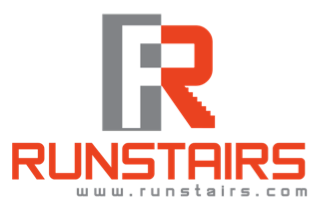 Finding a proper training regime for tower running can be a challenge since stair running is not a well known sport that is very specialized. When studying my training options I came across CrossFit and learned it is a program designed to prepare people for any physical contingency, not only for the unknown but for the unknowable (see their website for full description). Their specialty is not specializing but building overall full body strength so a person can be prepared for whatever their specialized fitness goals are. My classes include policeman, ironman athletes, Cyclists, basketball players, stay at home moms, and me....the strange Stair Runner guy. -If you are a stair climber I am guessing you have no problem having fun in life considering most stairwells are not aesthetically pleasing.....not well lit, white walls, metal, clanging noises, most of the time no payoff of a even a little view at the top....yet we still keep climbing and LOVE it. Enjoy the challenge of the workout, get to know the others you workout with, get to know your trainers and tell them about your goals. Be excited when you complete a hard WOD. 2- Take 1 to 2 rest days per week. -CrossFit trainers recommend 3 days on, 1 day off, 2 days on, 1 day off. The body needs days off to rest sore mucsles and build strength. There are days where I leave CrossFit feeling that I need more, like it wasn't enough. In the first month or two I felt like this often but then later in the day or the next morning I could feel the fatigue and soreness. Work hard while in the gym and then let your body heal. 3- Spend at least one day a week substituting a Tower Running specific workout. -In the warm up portion of CrossFit we run anywhere from a quarter of a mile to a mile and a half. A good gauge on your stamina for a Stair Race is how well you can run a 5k. Each week I run a 5k for time to test my stamina and endurance. There is no more sport specific workout than running stairs, obviously. I live in the suburbs and don't have access to a tall building, but I do travel each week and I seek out stairs to climb for one of my workout days. 4- Stay well hydrated before and after your workout. -For stair runners this is a common knowledge due to the dry and dusty stairwells we run up. Drinking plenty of water the hour before the workout helps tremendously to keep you going when you are fatigued. Water also helps nourish your muscles during your workout and in the recovery process. 5- Be prepared to be very sore in muscles you haven't worked in a while. -My calves and thighs are very strong from my stair run training. In my second week of CrossFit we did squats and dead lifts. This worked my hamstring like it hasn't been worked before, my other leg muscles were so strong that I pushed myself with heavy weight but then for the next week I walked slower than a 90 year old with a cane which made getting on and off of 8 different airplanes that week while traveling for work quite comical. I wish I lived closer to the great stair running training gym Xgym in Seattle but overall I am very satisfied with CrossFit and look forward to seeing some lower times in my races and quest to run up the tallest buildings in each state.